A former law lecturer who is serving ten years’ imprisonment in Arbour Hill Prison for sexual offences has successfully argued that there was a want of fair procedures in a disciplinary hearing which resulted in his phone and visitation privileges being denied for 30 days. In deciding to sanction the prisoner, the Governor specifically relied on phone calls made to the prisoner’s son in which he directed what information should be put on a website about his victim, and screenshots of the website which also criticised the victim’s support group. Quashing the Governor’s decision, Ms Justice Deirdre Murphy said the failure to allow Mr Doolan to examine this evidence was sufficient to vitiate the lawfulness of the Governor’s finding. Former law lecturer Mr Brian Doolan was convicted of 42 sexual offences against a single complainant, and sentenced to 12 years’ imprisonment with the final two years suspended. In September 2017, the Irish Prison Service received information about a website created by Mr Doolan’s son, attacking the credibility of Mr Doolan’s victim. There was reason to believe that, from Arbour Hill Prison, Mr Doolan was instructing his son to upload specific content on the website – and the investigation into the matter disclosed that Mr Doolan had made phone calls to his son in which he directed specific information to be put on the site. As a result of the investigation, a P19 notice was served on Mr Doolan on 26 September 2017, and a hearing was convened the following morning. Notably, Mr Doolan asked to see transcripts of phone calls and screenshots of the website content which were relied on in the hearing, however, this was refused and the transcripts were read out to him. Offended against good order and discipline contrary to Rule (32) of Schedule 1 of the Prison Rules 2007. Governor Dowling imposed a sanction denying him visits and phone call privileges for 30 days. In the High Court, Mr Doolan sought an order of certiorari (together with various declaratory orders) arising from a disciplinary hearing held on 27 September 2017. 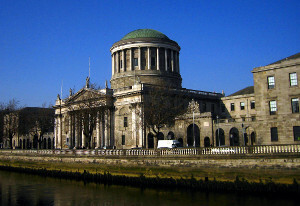 Ms Justice Murphy dismissed the complaints under the first and third headings; however, Mr Doolan’s complaint under want of fair procedures was upheld. The informality of the process. Ms Jusitce Murphy said she was not persuaded that Mr Doolan was denied a proper opportunity to prepare for the hearing – he was told of the nature of the misconduct alleged and of the substance of the case against him. The contents of the P19 notice were sufficient for this limited purpose. Ms Justice Murphy said the failure to allow Mr Doolan to examine the evidence against him (i.e. the transcripts of the phone calls and screenshots of the website content, alleged to constitute bullying and harassment of his victim) was sufficient to vitiate the lawfulness of Governor Dowling’s finding. Persuaded by Mr Doolan’s arguments regarding the proper construction of Rule 67(6) of the Prison Rules 2007, Ms Justice Murphy said a prisoner is entitled to hear the evidence, and where there is real evidence relied upon – the prisoner is entitled to examine it. Ms Justice Murphy said the “disjunctive provision of the rule “or have it explained to him” does not detract from or lessen a prisoner’s right to examine evidence. That provision is, in the court’s view, designed to cover those situations in which a prisoner is for any reason, be it language, literacy, or other disability, unable to examine the evidence. In such cases, it is permissible to explain the content of the evidence”. Ms Justice Murphy said Governor specifically relied on the evidence which he refused to allow Mr Doolan to examine – in circumstances where the transcripts and screenshots were readily available and furnished to Mr Doolan shortly after the hearing to allow him to prepare a petition to the Minister for Justice & Equality. She said the respondents were attempting to justify their behaviour by relying on a misconstruction of the provisions of Rule 67(6) of the Prison Rules 2007. Satisfied that there was a clear breach of fair procedures, Ms Justice Murphy granted an order of certiorari quashing Governor Dowling’s decision. Since the sanction imposed had already been served, Ms Justice Murphy did not remit the matter for rehearing. Ms Justice Murphy said she was not persuaded by the final four complaints under the “want of fair procedures” heading.